Missing out the recruitment period did not stop Che-Jui Huang from missing out on CIS activities. He spent his freshman year serving as a volunteer for CIS and in the subsequent semester he officially became as CIS member and has never left since then. 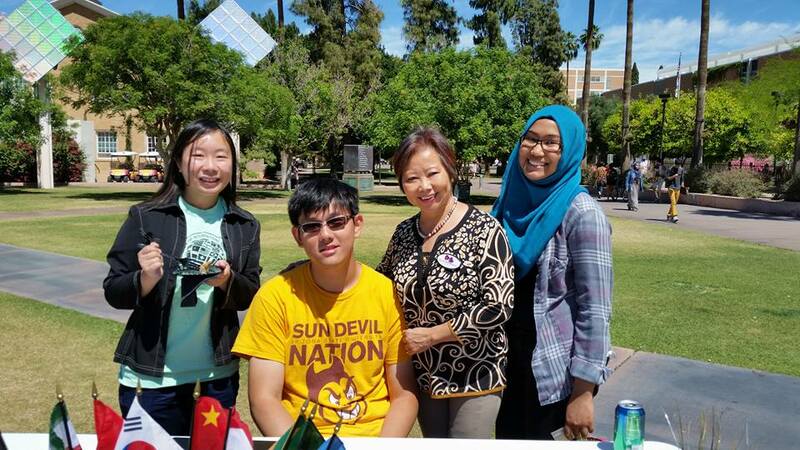 Huang is currently the most 'senior' member at CIS and says that volunteering for CIS has helped him open his eyes to see the diversity at ASU. He was surprised to find out there were so many international students at ASU. Growing up in Taipei was tough for Huang as he describes the education system as "everyone is so competitive". On the surface, high school is a Monday to Friday affair from 7am to 11pm. But the reality is that, while classes do not run through the weekends, he faces the pressure to study more in order to get better grades. Additionally, the learning environment is stressful for him as he was also battling a medical condition from his childhood. Comparing to his experience at ASU he says that the American education system is more flexible and he doesn't feel the peer pressure that he felt when he was studying back in Taipei. As an avid Boston Red Sox fan, Huang's initial ambition was to get a business sports degree. After completing his freshman year in business sports, he found out that this degree is particularly challenging for foreign students. Thus he made the decision to make the switch to the Business Data Analytics program at ASU's WP Carey School of Business. Huang describes his college career so far as a bumpy journey but he is determined to work hard towards his dream to work in Japan. Over the years as a CIS member, Huang has seen the change of 4 CIS presidents and the most interesting he has done in CIS is assisting ASU's Asian Asian Pacific American's (AAPASC) in their Asian Culture Heritage month planning. "This is a relatively big project and this is the first time I took on such a big responsibility" said Huang. Adding that he enjoyed the collaborative working experience with another coalition. Furthermore, joining CIS has also helped Huang to establish connections with different people. It is also through CIS that he became more outgoing. Huang is now the Public Relations director for two other clubs at ASU and credits the experience that he gained through CIS for his confidence to take on bigger responsibilities in his college career. In addition to that, Huang believes that everyone should join CIS regardless of their time left at ASU. Whether you have 4 more years or 1 more semester left at ASU you should consider becoming a member as CIS because it is a great place to practice your leadership skills and to do things that are outside of your comfort zone. "The longer you stay the more confident you become" says Huang when asked why he would encourage students to become CIS members. Coming to the U.S. has given Huang a renwed perspective of life and he predicts that if he did not come to ASU, he would be a more close minded and intorverted person. He says the best part of ASU is that they try their very best to accomodate students especially international students. 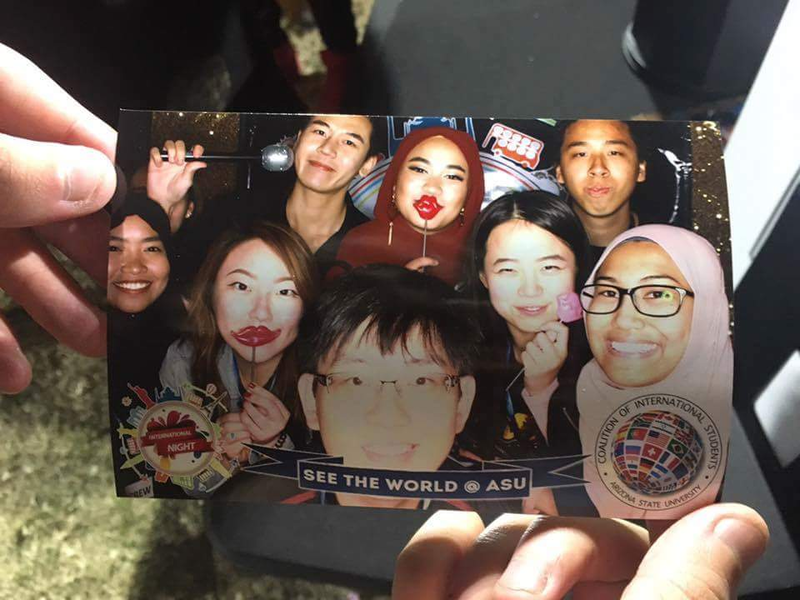 Noting that ASU uses a lot of different mediums to try and get international students involved with a range of activities. Adding that help is always given when asked and that ASU staff is committed to resolve confusion that students might have.